How Long Will The Bowflex BXT216 Last? With proper care, the BXT216 should grant at least 10-15 years of solid use for a moderate runner. The sturdy build of this treadmill speaks towards its ability to withstand a moderate to heavy use. Additionally, the warranty is often a good indication of the value in a machine. If Bowflex is willing to stand behind their treadmill’s frame and motor drive for 15 years and the BXT216’s parts for five years (give or take the people who simply buy machines to collect dust) then you can have peace of mind in how long the BXT216 will more than likely last. Bowflex’s newest machine is proving to be one of the better investments in this price range. This sturdy machine has a respectable motor capacity and warranty showing Bowflex’s backing behind their new product. While it may lack some of the programs found in competitor models, the BXT216 is certainly a contender to consider if you are looking for a solid, longer lasting machine. 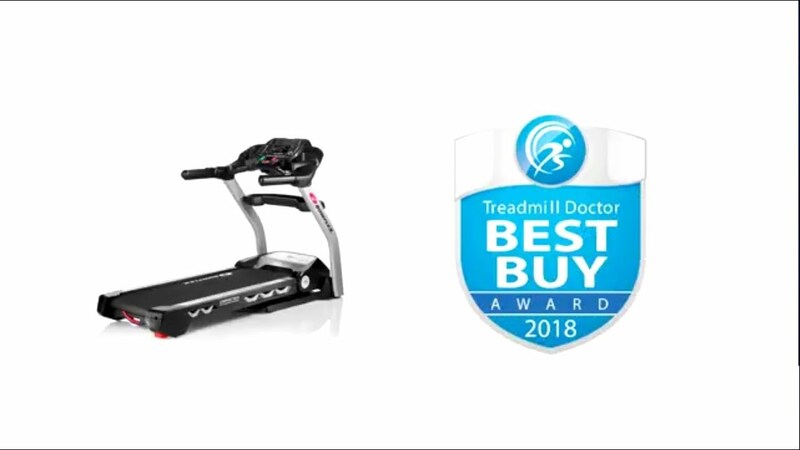 Accordingly, we have awarded the BXT216 First Place in our 2019 Best Buy competition among the $1,500 to $1,999 dollar treadmills. Since the BXT216 was released May 2017, the product has yet to create too much of a ripple. Still, compared to other machines in this price range the BXT216 treadmill is quite a bit sturdier. The fewer workout programs are certainly made up for in the actual build of the treadmill. Thus, if you are a serious user who uses their machine weekly and does not need the sweaty loud people to motivate you, then this machine would certainly be a contender. Also, the four hundred pound weight capacity is somewhat of a marvel for treadmills in this price category as the average weight capacity is about 300-350. The weight capacity typically indicates that the motor on the BXT2-16 has some substantial power behind it. Another enticing feature is the treadmill’s ability to share its workout data with a variety of free fitness apps that many users already have access to without any pricey subscriptions. Bowflex has continued what they call the “Burn Rate Console” which simply means the console displays the user’s calorie burn per minute as opposed to after the workout to account for a more precise reading. We do want to add one tidbit of caution. One aspect of many treadmills in this price range and below that is often used as a marketing tool is the space saving quality. While it may be more convenient to be able to fold a treadmill, we have seen machines break. Simply put, a product is only as strong as its weakest link; the link, in this case, being the folding hinge. Someone who is focusing on the weight capacity of this machine should keep in mind that higher quality models with a solid, non-folding frame are more likely to provide a sturdier machine for users with a little more to love than the less than 200-pound crowd. Since this is a new machine we do not have any reviews on this particular treadmill but please feel free to reference our past reviews on Bowflex’s other products. Bowflex seems to have created an appealing treadmill with good quality while remaining an affordable price range. Bowflex put more money into a sturdier built treadmill than in workout programming which is always a positive quality if you are more concerned about how you're your treadmill will last. While we do like to see more of a balance between programming and structure, the build of the BXT216 as it compares to others with the same price tag shows the amount of value that Bowflex put in the structure. With this in mind, we have dubbed the BXT216 First Place on our 2019 Best Buy list for the $1,500 to $1,999 dollar category. This treadmill is likely to be a good buy for a heavy jogger or moderate runner.